“Wonder is the only beginning of philosophy,” said Socrates, and Wonder by R. J. Palacio was the book we were reading in a book club years ago when I realized that books are the gateway to social emotional learning, a growing trend in education today. At the time, our students were just beginning social emotional learning (SEL) lessons twice a week. Finishing our discussion of Wonder, one of my boys said: “Ms. Stevenson, if the whole school just read the book Wonder, we wouldn’t have to have SEL lessons. They’re all in this one book.” Indeed, a book whose main precept is “Choose kind” is the heart of what SEL is all about. Social and Emotional Learning (SEL) is a process for helping children and adults develop fundamental skills for life effectiveness. SEL teaches the skills we all need to handle ourselves, our relationships, and our work effectively and ethically. These skills include recognizing and managing our emotions, developing caring and concern for others, establishing positive relationships, making responsible decisions, and handling challenging situations constructively and ethically. In the early 1980s I had an argument with a friend who said that writing was dead. In the future, he predicted, all will be movies or television; the written word is over. I was appalled yet fearful. It did seem at the time that fewer people were reading books as VCRs became the new craze. Still, books have persisted, and one of the reasons is because they provide the most intimate glimpse into what it’s like to be, think, feel, and experience life as another person. Of course, a really good film can elicit a similar response, but because literature puts words on the intimate thoughts and feelings of characters, because it fills in more details of emotion and motivation, it is among the best paths for nurturing empathy in our students. 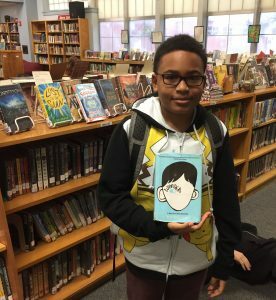 As Shakespeare wrote, “There is nothing new under the sun.” Long before social emotional learning, librarians practiced bibliotherapy, the process of “prescribing” a particular book for a student who is suffering or going through some trauma and would benefit from reading a book in which characters go through a similar experience. For years, librarians have sent out queries on listservs. For example, “Book needed for fifth-grade boy whose father is incarcerated,” or for “third-grader whose mother died,” etc. 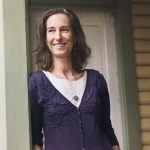 Although this practice is therapeutic, I find that the most powerful reading experiences force us to empathize with characters whose experiences are nothing like our own, except in their common humanity. Although I have never experienced bipolar disorder or paranoid schizophrenia, by reading these two recent young adult books, I was transported into characters experiencing these mental issues and all their attendant challenges. 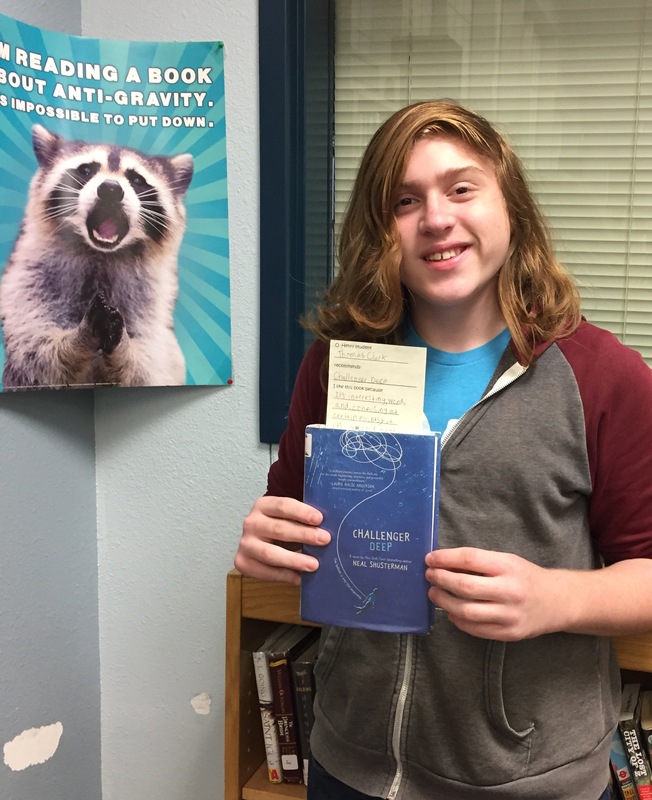 In Neal Shusterman’s Challenger Deep, Caden Bosch, a fifteen-year-old boy, begins hearing voices and believing a boy at school wants to kill him. In reading his fears and attempts to hide his gradually escalating condition, I understood how terrifying his illness is and how isolated he felt in his suffering. Although I had read about paranoid schizophrenia, it was not until I read Challenger Deep that I was able to more fully empathize with the character’s panic. 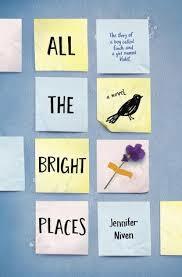 Similarly, when reading how “Finch the Freak” in All the Bright Places (Jennifer Niven) fluctuates between his manic highs and desperate lows, I was able to identify with Finch and also with his new friend Violet in her alarm and compassion for Finch’s condition. As librarians and cheerleaders for free, voluntary reading, we often justify our practices by appealing to test scores as well as college and career readiness, but in our current age of insulting tweets and ugly trolls on social media, it’s more important than ever that we foster in our children the capacity to have compassion and understanding for others. In this sense, our vocation is among the most important in building a better future world.